Once the prerogative of royalty, amethyst jewelry has now become a popular choice in the jewelry world. Its elegance, unique color, and sophisticated look make the amethyst one of the favorite gemstone for many people. But when buying amethyst jewelry, as well as any other semi precious stones jewelry, there are a couple of important aspects you need to consider. This is why we have created this comprehensive buying guide that will help you choose the best amethyst jewelry for your collection. Read further to find out more about this unique gemstones and value factors. A semi precious stone part of the quartz family, the amethyst gets its violet color from the impurities in its silicon dioxide structure. It is a pretty tough gemstone with a hardness of 7 on the Mohs scale. Many years ago, people thought amethyst was the rarest gemstone and, because of that, it was considered to be a precious one. However, after large deposits of amethysts were discovered, this gemstone lost its “precious” status and became a semi precious stone. Whether you want to buy a pair of amethyst earrings, a beaded necklace with amethysts or an amethyst cuff, there are some factors to consider. These factors determine its value and let you know whether the numbers on the price tag are fair or not. Of course, as you know, the metal of the jewelry piece is also important but we believe you already know gold is worth more than silver and platinum is worth more than gold. So what you really need to pay attention to is the stone in your amethyst jewelry. Here is what you should look for. As you know, amethysts are violet with undertones of red and blue. Deep purple amethysts are more expensive than light ones, but when assessing the stone’s color, do it under natural light. Under artificial light, an amethyst gemstone may look less saturated. If the stone in your amethyst jewelry is labeled “Deep Siberian”, then you have the best grade for amethyst. However, this intense purple stone is rare and, consequently, more pricey. Natural amethyst comes only in violet shades. You may find “green amethysts” on the market but they are either not amethysts or don’t get their color naturally. If the stone is natural green, then it is a variety of quartz. There is also the situation when the amethyst gemstone receives a heat treatment to turn it green. The clarity is a general guideline for any gemstone, not only amethyst jewelry. The fewer imperfections (inclusions) the stone has, the greater the clarity. 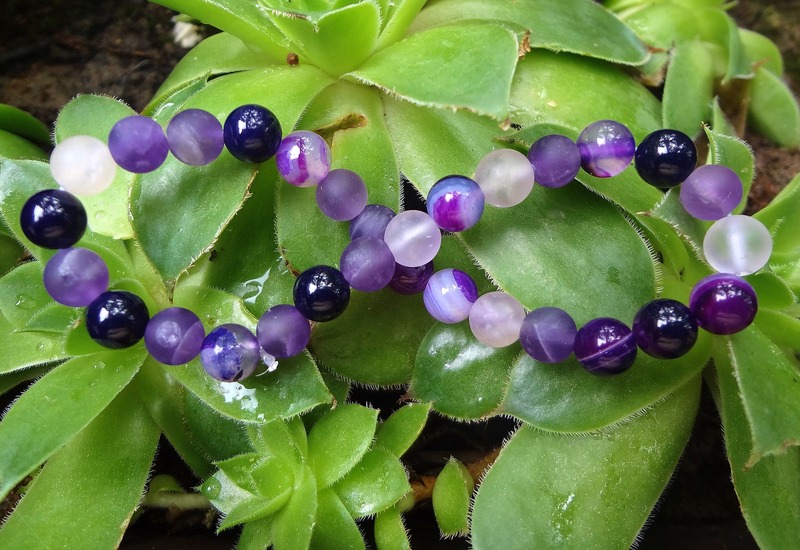 Look carefully at the amethyst jewelry you want to buy and see if it is clear. If it has imperfections, the price should be lower than for clear amethysts. When it comes to the gemstone’s cut, it is a matter of preference. Colored gemstones receive cuts that enhance their color, just like it happens with clear gemstone’s brilliance. Now, some people prefer vivid amethysts, while others like more pale colors. Nevertheless, take a good look at the cut in your amethyst jewelry to assess if it’s a good choice for you. Besides the heat treatment that turns it green, amethyst gemstones can also receive other types of treatments. Usually, the treatment has the purpose to enhance the color and make it more close to a deep purple tone. Naturally, a pale variety of amethyst that received a treatment is less valuable than a naturally deep-purple amethyst. Ask the jeweler whether the stone has received a color treatment. If the answer is yes, ask them what the treatment consisted of. Sometimes, treating a gemstone to enhance its color means reducing its durability. It is important to know about the treatment before making a purchase decision. The answer is yes. When buying amethyst jewelry, you have to ask whether the stone is natural or synthetic. Unfortunately, you cannot tell the difference between a natural and a synthetic amethyst because you need special equipment for that, as well as in-depth knowledge. This happens because even synthetic amethyst is partially natural. They simply take a clear quartz and irradiate it in a lab. The irradiation process turns the quartz purple. And since amethyst is part of the quartz family, the synthetic variety will have the same properties as the natural one. Of course, a natural amethyst will be more expensive than a synthetic one. This is why you should inquire about gem’s provenience. Amethyst jewelry is elegant and can be a wonderful addition to your jewelry collection. If you want to read more about jewelry and what to look for when buying it, check out our other articles as well. To view our unique fine jewelry collections, visit Ana Luisa online jewelry shop.